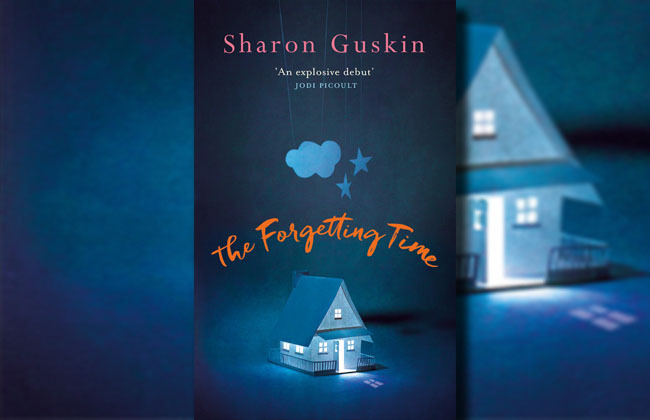 The Forgetting Time is the incredible debut novel from author Sharon Guskin. It tells the story of Janie, a single mother, and 4 year old, Noah, who keeps crying for his mama and asking to go home. Except Janie is his mother and he is already home... As Noah's vivid nightmares get worse and he becomes more and more distressed, Janie seeks advice from countless doctors who aren't able to help. Eventually she meets Dr Anderson, a psychiatrist who researches cases of children recalling past lives. He believes he can help Noah - but does this mean that Janie will lose her son forever? This year I have promised myself that I will make time to read, as I love nothing more than getting lost in the pages of a good book. There are not many books that have had me completely captivated, and it has been a while since I have read a book that has sent me on a rollercoaster of emotions - but The Forgetting Time by Sharon Guskin has done exactly that. The novel is based around Janie, her son Noah, and Dr Anderson, a psychiatrist. Noah is four years old and wants to go home. He wakes every night he wakes from nightmares where he is drowning and calling out for his mama. He doesn't mean Janie though - he keeps crying for his other mother and asking when he will get to go home. This book is utterly captivating and I devoured it in a few short days. It is one of those books that keep you awake late into the night because you just can't put it down. It is relentless and breathtaking. It gave me goosebumps and made my heart race, because Guskin writes in such a way that you can feel the emotions that Janie is going through as a mother. Her fears, her worries, her love for her son. Each chapter leaves you feeling compelled to read on. It is a clever, intriguing and beautiful book and I simply cannot wait to see what Guskin has to offer next. If you like the style of Jodi Picoult, Audrey Niffenegger or Kim Edwards, you will love this. Find The Forgetting Time on Amazon here and Wordery here.